Classes start on Monday 11th of February 2019.
if you are enrolling more than one child online, you must create an individual shopping cart for each child. we cannot accept an enrolment or reserve a place without full payment. Welcome to our Children’s After School Music and Leisure classes. 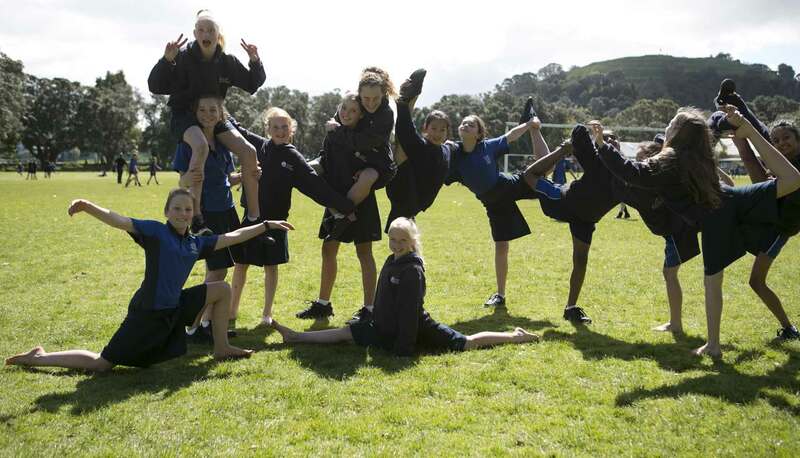 Administered by Auckland Normal Intermediate School, these classes offer your children a wealth of enjoyable, educational and challenging activities for after school participation. The programme is aimed at 6 –13 year old primary school students from our local community. It is subsidised by the Ministry of Education and follows New Zealand curriculum guidelines. Our tutors are well qualified to meet your child’s needs. While Auckland Normal Intermediate employs the tutors they are not necessarily teachers at ANI. Many come from other occupations and are experts in their field. As professionals they take their role seriously and work hard to ensure programmes are taught to a high standard. Please feel free to make contact with them after class or by email. We request that parents do not wait in classrooms during lessons as this can make some children nervous. Lessons are taught in groups which, not only lowers the cost of tuition but also provides a supportive framework for students as they learn together. The size of the class will vary between 6 and 10 students for a music class or between 8 and 15 students depending on the type of leisure class. It is vital that parents work in partnership with the tutor. Encouragement at home to do follow up or practise activities is necessary. Attendance at lessons is also important, so please ensure your children turn up on time and with the correct equipment. Students must also be collected no later than five minutes after the class finishes. There is no before class or after class supervision available, so please ensure that you are waiting outside your child’s class ready to pick them up at the end of the lesson. Your tutor will advise you if any text books or music manuals are required for your class. These along with instruments can be purchased/hired from a local music store. Make sure you carefully pick which after school class you would like to take. Because we will not be able to complete any transfer’s or changes of classes after the second week of each term. If you wish to transfer before this time, you will incur an administration fee of $10. If you require additional information about a particular class, please call the ANI office on 630 1109. Our reception staff and/or the tutor are here to assist in any way they can. All fees are inclusive of GST. Your fee covers tuition costs, however it does not cover book resources, music instrument hire or transport costs to and from Auckland Normal Intermediate School. Please ensure you are aware of your child’s extra curricular activities and sports training requirements for the year as there are no refunds once the course is underway. Please see ‘Our Refund Policy’ below regarding refunds and transfers. All students must be collected from school no later than 5 minutes after the class finishes from the room where their class is taking place. ANI students who have a 3:30pm class wait at the amphitheatre (outdoor seating area on the netball courts) from 3:00pm until 3:30pm when their class begins (the children are supervised while waiting). Students in a 4:00pm or 4:30pm class must leave school at 3:00pm and return in time for the class. No classes are held during School Holidays or Public Holidays. Classes scheduled on a Public Holiday will not be made up. There are no classes in the last week of each term unless there is a make-up lesson. We do not offer trial classes for any After School class. Once you enrol and payment has been received, this means you are accepted into the course. During the term you will only be contacted if a class is cancelled or if there are no places available. There will be a sign and maps at ANI Reception office advising where classes will be held. We operate two semesters – Semester One (Terms 1 & 2) and Semester Two (Terms 3 & 4). Semesters are not interchangeable. We hope you enjoy your time with us and benefit from the experience. We welcome you to select a class, enrol and pay for your child’s after-school classes online. By enrolling and paying for after school classes online, you acknowledge that you have read and accepted the Auckland Normal Intermediate School online shop’s terms and conditions. We encourage you to read our online shop terms and conditions. To enrol your child online simply browse our after school classes and add items to your shopping cart. To add an item to your shopping cart, just scan the respective class days and experience level/age that’s appropriate for your child and then click book. Once you have finished browsing and wish to pay for your class(es) click proceed to checkout, which always appears at the bottom of your cart on the right of each page. Remember if you want to enrol more than one child online, you need to create an individual shopping cart for each child. Should numbers in an after school class’s roll be at full capacity, the message ‘Class full’ will appear in place of the Book button. If, for some reason a class is cancelled before the start date, we will notify you and send you a full refund. A refund of half the fees will be considered if you withdraw no less than five (5) school days before a class starts. No refunds once the course is underway. Transfers may be authorised in the first two weeks if a place is available, $10.00 administration fee per transfer.